I LOVE linen!! But I also go a little cuckoo when I work with it. It can be so hard to get a straight cut or seam. I also have a hard time getting it to stay on my design wall. So I recently started working on the floor with this latest project using lots of linen and mostly Flea Market Fancy fabrics. After looking at it all week, I decided I had to take out the lighter linen pieces I had included and will opt for a more subtle color variation by using a darker linen there instead. I’ve learned the hard way that if it doesn’t look right and I don’t feel good about it, I need to listen to that nagging voice in my head that says to “unsew”(a euphemism for “rip out the seams”, that I heard from Bee at our last guild meeting-made me chuckle) the seams and start over. Just a minor setback this week. I also began playing around with some old 4 inch HST that I had in my unfinished pile. 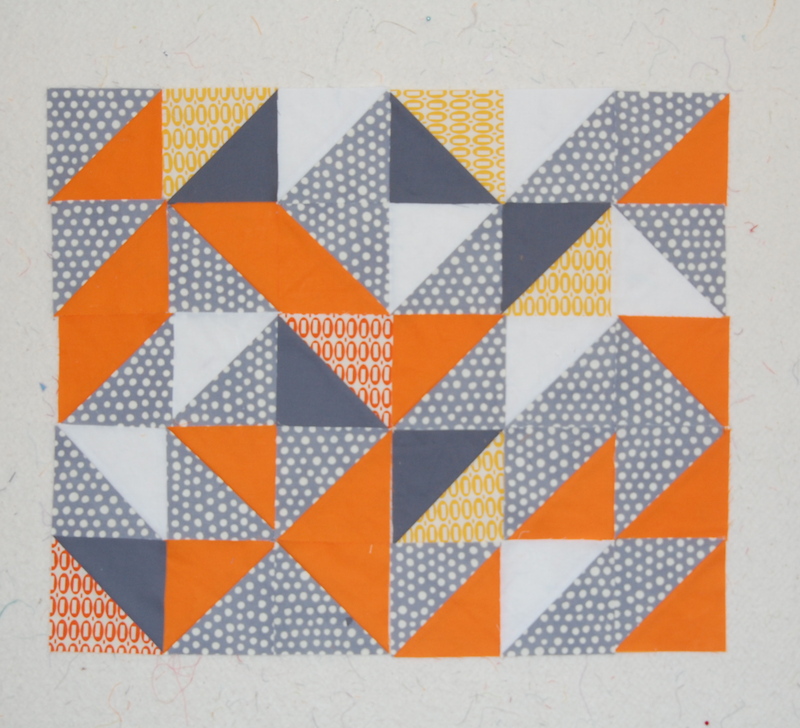 My plan is to put a little mini quilt together to use for a tutorial that I hope to have done soon! 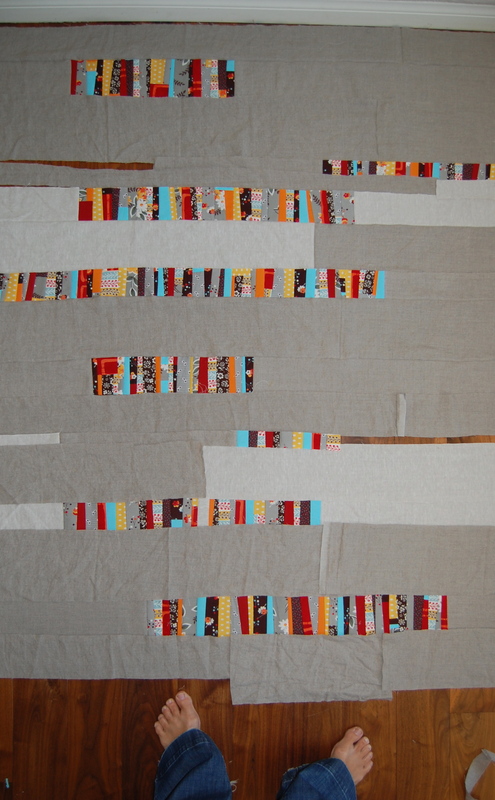 Stay tuned my quilty friends….. I think a more subtle color will make the quilt! I made a mini quilt last week that I ended up un-sewing the binding…I am so happy I took the time! LInen is a tricky, but this quilt is fine with a curve or two. Well done, I like it a lot! i love seeing how you work through your process!! i love all those little bits up there.